239 COLOURlovers viewed this page and think ketisse has done it again. 10th most loved 1LP pattern for Dec. 2011. Thanks! Your compliment is for the pattern and the palette. 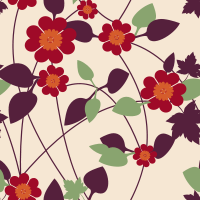 Click here to view more patterns made with this palette. Credit must be given to ketisse & bmarchelle.